I have contact form with html, php, js and ajax as you see in codes. After form fill successfully and click submit, the email was sent successfully. But the success message can’t seen on the same page. The alert is seen to redirected page in one line. I don’t want to redirect to show alert. The alert must be on the same page with contact form. Here is the codes. Could you help me what I miss or do wrongly. Thank you for your help. You should remove method and post attributes with their respective values from this line. 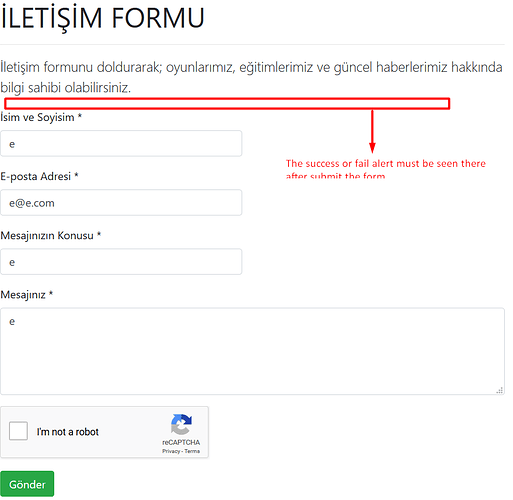 Since you already using ajax these are superfluous and since they have presedence your form is submitted by using html form and not by ajax request. Thank you for your reply. 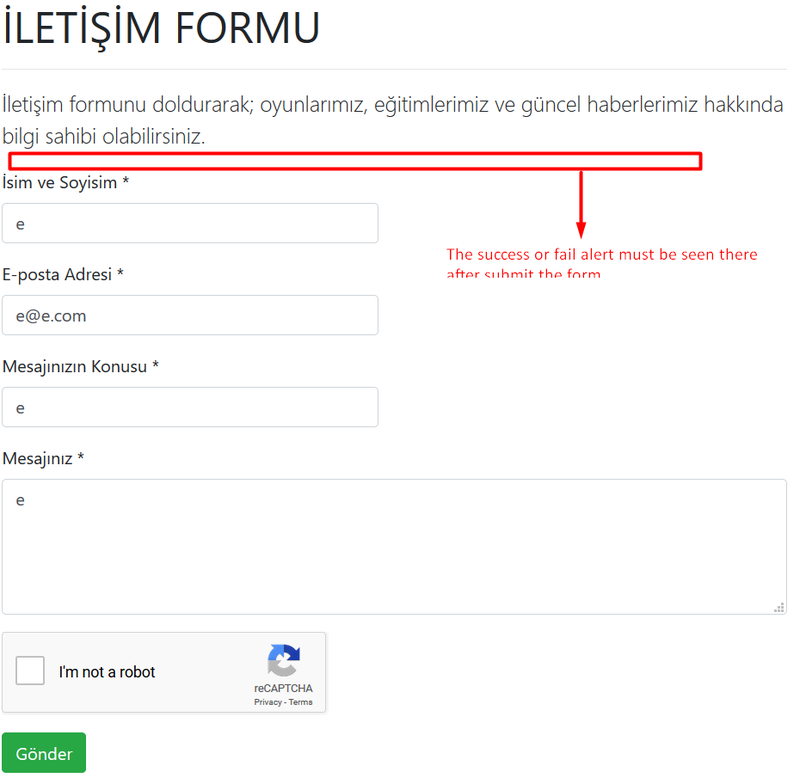 I delete method=“post” but now the site redirect this site and the site is blank. I should written “method” and “action” attributes. Sorry about that. Thank you to help and direction to solve problem. Fist of all, I changed that line without action="contact.php"
I tried what you have written but I think I am doing something wrong. I am a newbie so there is probably something I am missing. I will appreciate if you help.